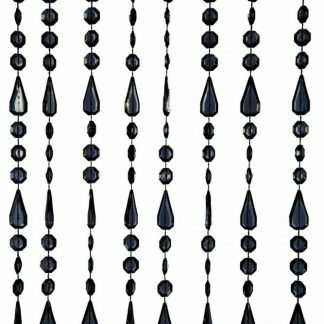 Suitable for indoor or outdoor use, you can string these fairies wherever you fancy. 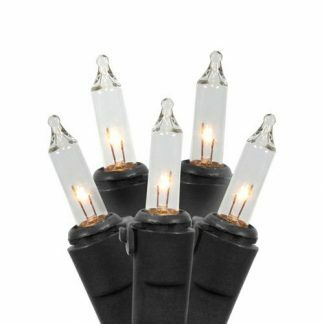 The black wire blends easily with your dark decor and gives a pretty scattering of lights, providing you with enough illumination to see whatever it is you happen to be indulging in. Are you a lone wolf? 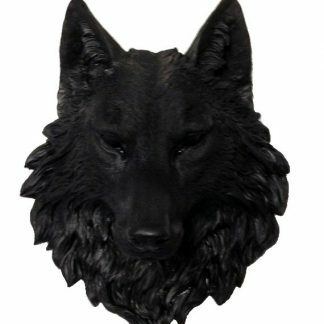 This stunning black wolf head will add dramatic effect to any room, and is sure to command plenty of attention. Sure beats hacking the head off a moose for decoration. This one is cruelty free as it’s made of resin. 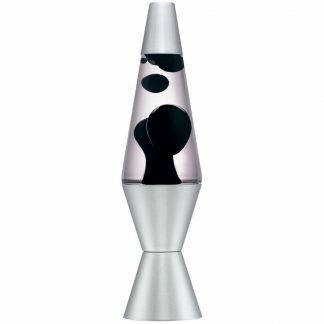 Unwind with this calming lava lamp featuring black wax which melts into a beautiful lava to create no end of intriguing, shapeshifting effects. Nosey neighbours trying to peer in when you’re getting your goth on? 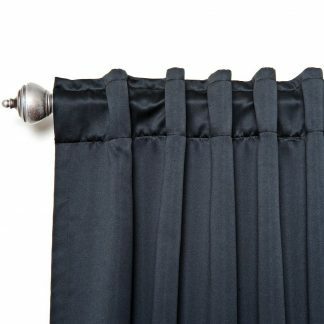 Piss on their bonfire with these thermal blackout curtains. 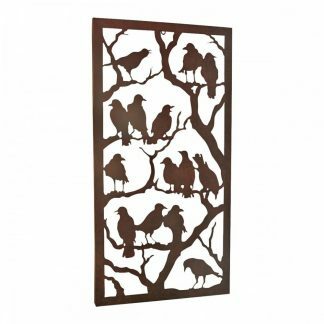 They keep the warmth in and the cold out, and block 99% of outside light. Who needs sunlight when you’re a creature of the night? Perfect for vampires everywhere. 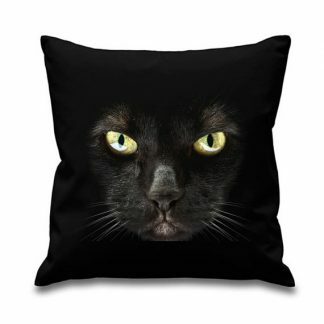 If you have a fancy for feline faces, this stunning black cat cushion will be right up your alley. Measuring a generous 18 inches, it’s big, soft and exceptionally beautiful. The charismatic cat face design will add style to any room, and who knows, you may even have a kitty of your own that would just love to stretch out on this cushion. And if not, you can!